We offer a wide range of hair services, skin treatments, permanent cosmetics and teeth whitening. Our team of stylists are highly trained and passionate about their work. We will create the right look that best suits you and your lifestyle. 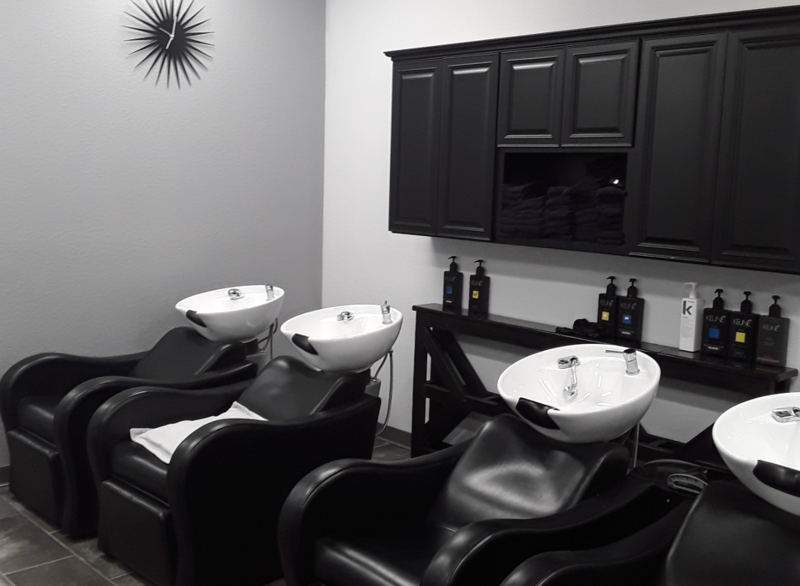 Please stop by and check out our new addition to the salon. We have partnered with By the Sea Boutique to bring in some fun and beautiful women's clothing. We offer a large selection of KEVIN.MURPHY and ELEVEN hair products. Come in today and let us help find which product is right for your hair. Claudia did such an amazing job on my hair, I love the color so much and she cut it perfectly. Very friendly atmosphere. This is the 1st salon I've had such a great experience in since moving over this way. Amazing salon!! Owner is amazing and you will love her!!! Always smiling!!!! Recommend!!! If you want your hair done right, come here!! You will love it!!! Wanted a hair cut last minute and they were able to get me in right away! Flor cut my hair and did an amazing job! I love the look! Thank you!! Great experience. The staff is kind, clean environment, music isn't too loud. Quality products, (no smell for coloring), organic, high end etc. They even use hand towels for drying hands in bathroom! Love the "go green" touch's. Teara is the best! I love my cut and color! She does such a fabulous job. The salon is beautiful and everyone is so friendly and accommodating. I had a facial and Dermabrasion with Dawn. It was so lovely and relaxing but most importantly my skin is so smooth! I highly recommend booking a facial with Dawn; you will love the way you look and feel.